Bright and colourful to bring fun to your kitchen. 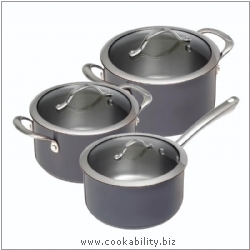 Manufactured from durable 18/10 stainless steel. The range has riveted handles and glass lids.